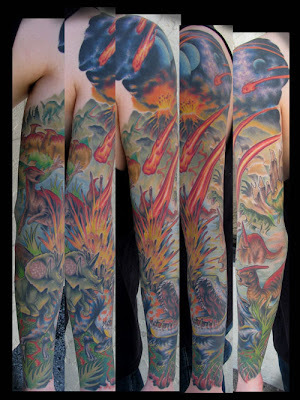 Tattoo Blog » Meet Nick Stegall! 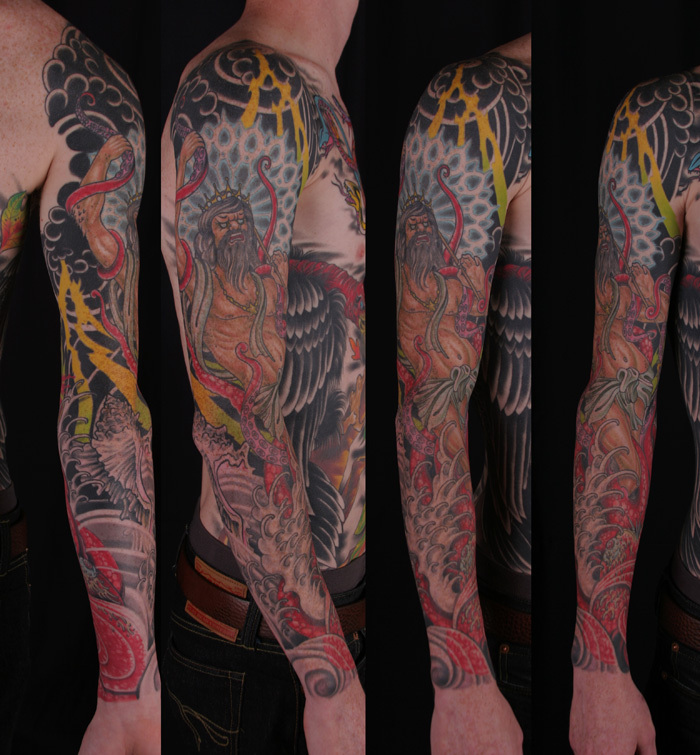 Tattoo Blog » Japanese » Meet Nick Stegall! I only recently discovered the work of Nick Stegall, but that doesn’t make me any less impressed with what I’ve found. Nick is a talented tattooist who also seems to have the nickname “Hogwart”, though I’m not quite sure as to whether or not the nickname is a Harry Potter reference. If it is a Harry Potter reference, then this will be the second tattooist in as many weeks whose tattoo blog profile contains mention of Harry Potter. In case it wasn’t made clear last weekend, I am a fan of Harry Potter and of artists who appreciate the young wizard. Anyway, all geekiness aside, it doesn’t really matter if Nick Stegall’s nickname is Harry Potter related or not. What does matter however, is the quality level of Stegall’s tattoos. Well, I’m here to tell you that the quality level is nice and high. 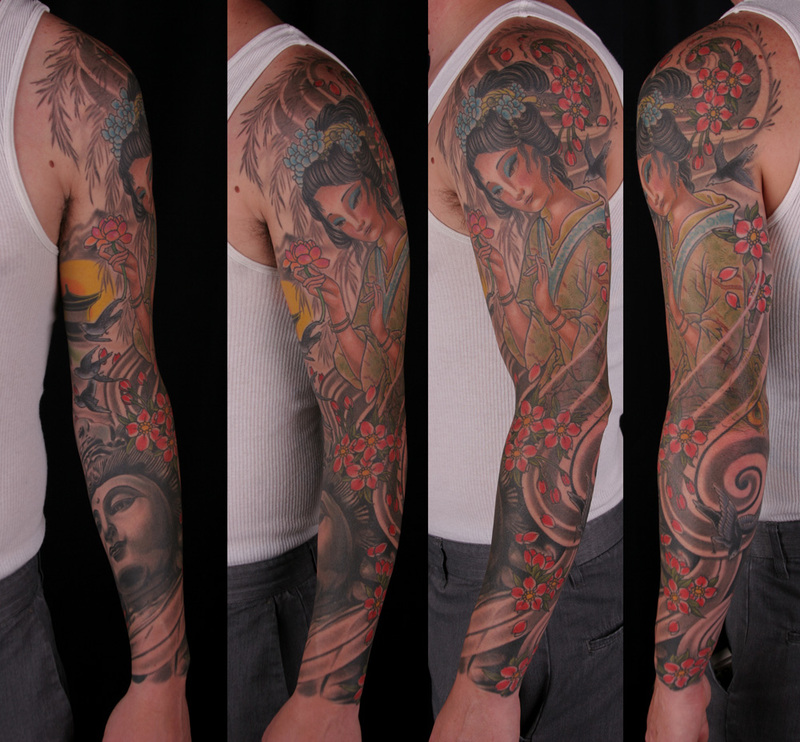 Nick tattoos at RedLetter1 in Tampa, Florida and he dabbles a lot in Asian art – including some Japanese stuff, a little classic American, portraits and even some black and grey thrown in for good measure. Everything is clean and smooth, with some really nice lines and heaps of colour. There’s a control to his work that makes you want to keep seeing more long after you’ve gone through his portfolio. For those of you in the UK, Stegall will be appearing at the London Tattoo Convention at the end of September. If you aren’t lucky enough to catch up with him in London, then you can always keep a close tab on his blog, which is often updated with videos and photos of his work, along with info about when and where he’s going to be. Check him out, it’ll be worth your while.